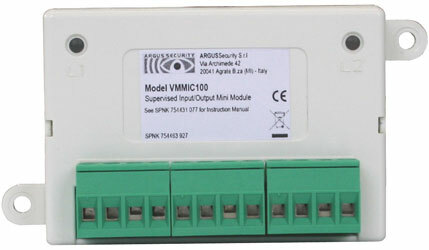 The Axis single input and relay output modules are loop powered and designed around a fully digital protocol. Each module allows monitoring of fire alarm and auxiliary devices and provides form C changeover contacts for control of auxiliary devices such as fire shutters. The input channel is monitored and will detect Normal / Short / Alarm and Open conditions. The output channel is a normally de-energised relay switched on by a command from the control panel. Auto addressing capability (by the control panel) or manually using a hand held programmer.